Vanuatu has been designated an offshore financial centre by the IMF, the OECD and the Financial Secrecy Index (managed by the Tax Justice Network). 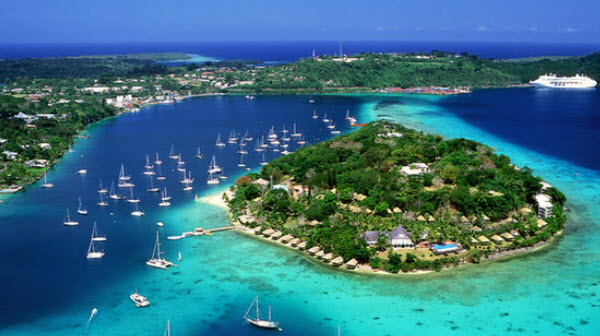 Vanuatu became an offshore financial centre after introducing special offshore legislation in 1971, but is still a comparatively small player in the offshore market. There are approximately 2,000 registered institutions on Vanuatu offering services such as offshore banking services, trust company services, legal services, investment services, accounting services, or insurance services. Instead, indirect taxes are employed, chiefly VAT, stamp duty and customs fees. In recent years, Vanuatu has yielded somewhat to international pressure and tried to tone down its reputation as a tax haven. Many international ship-management companies flag their ships under the Vanuatu flag, due to beneficial tax treatment and favourable labour laws. Vanuatu is a full member of the International Maritime Organization and applies its international conventions. 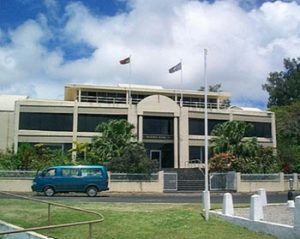 In the past, several notable companies within the field of file-sharing online have incorporated in Vanuatu to decrease the risk of harmful legal challenges. Two well-known examples are KaZaA and WinMX. Vanuatu relies heavily on its agriculture, with 80% of the population being engaged in agricultural activities. The three other pillars of the Vanuatu economy are tourism, offshore financial services and cattle raising. A lot of fishing is carried out, but doesn’t bring in much money to Vanuatu since a vast majority of the fish is consumed locally. The most important cash crop is copra (dried coconut kernel), which makes up over 35% of Vanuatu’s exports. Other important export products are timber, beef, cocoa, and kava root extract. Tourism numbers has increased in recent years, partly thanks to Vanuatu becoming more well-known internationally through reality-TV shows such as Survivor and Celebrity Survivor. Tax revenues come mainly from import duties and from the 12.5% VAT charged on goods and services. Vanuatu receives foreign aid chiefly from Australia and New Zealand. The Republic of Vanuatu (Bislama: Ripablik blong Vanuatu) is an island nation in the South Pacific Ocean. It consists of an archipelago located approximately 1,750 kilometres east of northern Australia. The first known inhabitants of the archipelago were Melanesians. Spanish-Portugese colonisation commenced in the 16th century when the archipelago was claimed as part of the colonial Spanish East Indies. France and the United Kingdom claimed parts of the archipelago in the 1880s, and managed it jointly from 1906 and onwards. The independent Republic of Vanuatu was established in 1980. In the 1990s, Vanuatu went through a period of political instability, and in 1996 the paramilitary Vanuatu Mobile Force attempted a coup. In 1997, the Vanuatu government committed itself to a comprehensive reform program, aided by the Asian Development Bank. As a part of this reform program, the government introduced a value-added tax (VAT) and consolidated and reformed government-owned banks.